Since the filet mignon is one of the most popular steak cuts all over the world, it’s not surprising that steak enthusiasts want to know the best way to cook it. One of the most-asked questions we get, in fact, is “How do you cook filet mignon in the oven without it drying out?” Although some will disagree, the oven can actually be the perfect place for this (and just about any other type of steak!) if you know the right methods to use. This guide will help you learn how to cook filet mignon in the oven using the best methods and times so that your steaks come out just as tender and tasty as they would on a grill or stovetop. You basically have two options for cooking filet mignon in the oven: Broil or sear-and-bake. 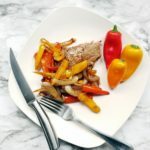 You can, of course, opt for sticking them in a pan and just baking them, but you’ll wind up with crisp-less filets that just won’t have the texture or taste these pieces of meat are known for. Instead, choose one of the below methods for getting the crave-worthy crust that works so well with filet mignon while leaving the insides perfectly pink and tender. Are you looking to avoid the pan altogether? Then learn how to cook filet mignon in the oven without searing it by broiling it instead. The broiler is like an indoor grill, letting you get a nice, crisp crust on your steak just by using your oven. 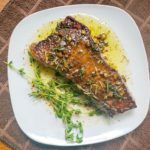 Brush filets with olive oil and season with salt, pepper, and your favorite seasonings. Place steaks under the broiler in an oven-safe pan or a cast iron skillet. Turn steaks halfway through the cooking time to brown evenly on both sides. You’ll need a total of between 8 to 14 minutes of cook time depending on the thickness of your filets. Preheat your oven to 425-degrees. Season filets with salt and pepper, rubbing the spices into the steaks. Heat up a cast iron skillet with a couple of tablespoons of butter. 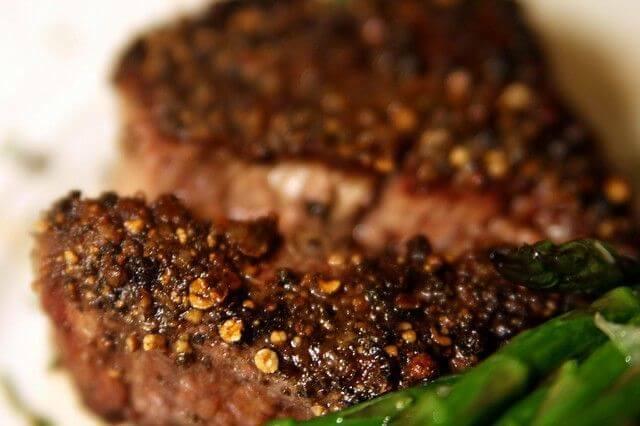 Sear filets for 2 to 3 minutes on each side, until you see a golden-brown crust form. Place the full skillet with filets onto the center oven rack to finish cooking. How long to cook filet mignon in the oven with the sear-and-bake method also depends on the thickness of the steaks. 1 ½ to 2-inch thick cuts may need between 15 and 20 minutes, while thinner cuts will need between 10 and 15 minutes. The best cook for a filet mignon is, generally, medium-rare, which will give them a light pinkness in the center. To cook to this temperature, your steaks should read 130-degrees with a meat thermometer before removing them from the oven. Shoot for 120-degrees for rare and 140-degrees for medium. After they’ve finished cooking, place the steaks on a plate and cover loosely with foil for about 10 minutes to rest. Knowing how to broil and bake filet mignon can give you some more ways to experiment with cooking these juicy chunks of steak to find your preferred method. Using the oven to cook filets is quick and requires minimal clean-up, making for a convenient, simple, no-fuss way to have a delicious steak dinner. Check out our selection of Premium Angus Beef Filet Mignon and order a batch to be delivered straight to your door.